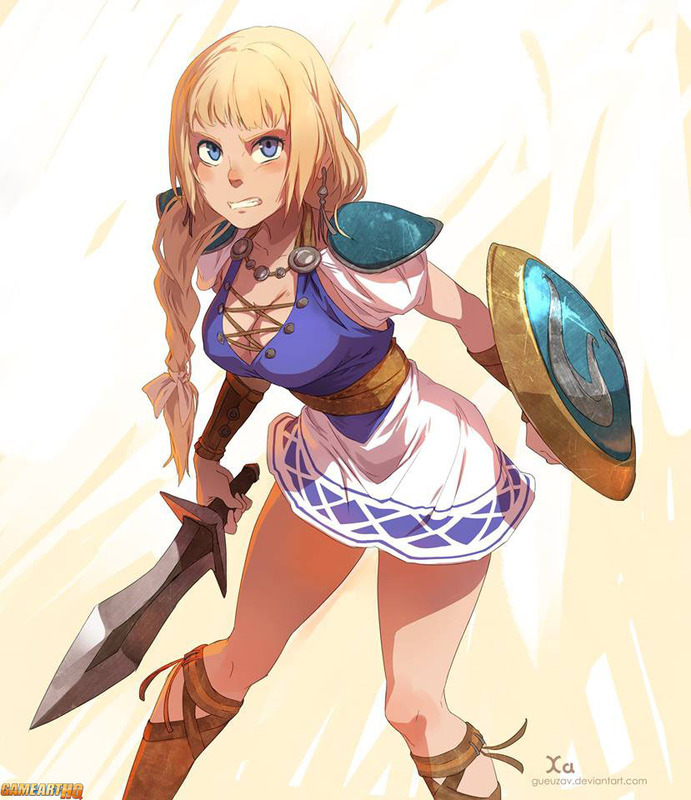 Sophitia was always one of my favourite characters in the whole series and I was glad she returned in the sequels, even if it was only as an unlockable character and you had to play the arcade mode through sometimes or beat a certain boss in the Edge Master Mode. Well, until SCV where they screwed up Sophitia completely. Xa-Xa-Xa a professional artist from france who works in the video game industry since years just drew her as one of his rare fan arts. I really like that he used one of her older designs for that.